Bacteria traveling along "fungal highways" on cheese rinds can spread more quickly and ruin quality or cause foodborne illnesses, but cheesemakers could manipulate the same highways to help cheese mature faster and taste better, according to new research from Tufts University. The findings from Benjamin Wolfe's Lab at Tufts University, published in a recent edition of Nature Communications, have implications for food safety and cheese making. Highways and freeways are infrastructure systems designed to carry people and cargo long distances efficiently. Corporations harness logistics systems to streamline travels across motorways. Similarly, bacteria construct their own "highways" to carry themselves distances across some types of fermented foods, such as cave-ripened natural rind cheeses. Most often, this causes food to spoil. However, just as information systems harness data about traffic and routes, fungal highways can be manipulated to influence ripeness and flavor. Molds, or fungi, grow on the surfaces of cheese rinds during the cheese aging process. Wolfe first discovered fungal highways on cheese rinds while completing his post-doctoral work at Harvard University in Rachel Dutton's lab (Dutton is now at the University of California-San Diego). 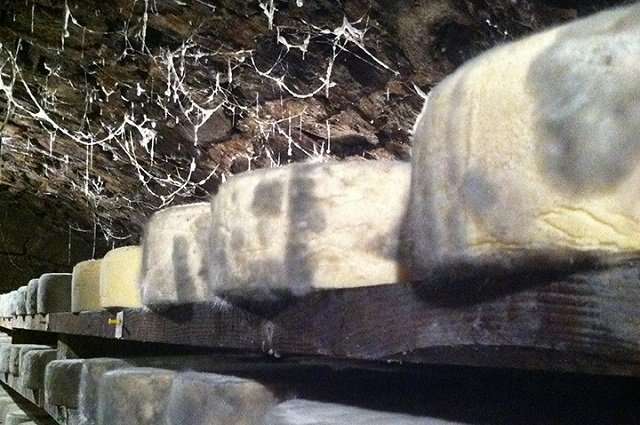 He noticed strange streams of bacteria emerging near fungal colonies on Saint-Nectaire cheese, a cave-ripened French cheese with a natural rind. When viewed under a microscope, the streams resemble highways. Bacteria that can use these fungal highways to quickly drive across the cheeses can travel greater distances than bacteria that cannot use the highways. This creates a 'highway hierarchy,' allowing the fungi to control the bacterial community composition on cheese rinds. Led by Yuanchen Zhang, a Tufts biology undergraduate, the team made discoveries that have direct implications for cheese safety and quality. Some pathogenic bacteria such as Listeria could use fungal highways on cheese to quickly spread and ruin cheese quality or cause foodborne illnesses. However, the highways do have benefits. Just as the quickly-moving bacteria can cause cheese to over-ripen, they can help cheese mature faster. Cheesemakers could manipulate different types of fungal highways to alter the microbial ripening processes. 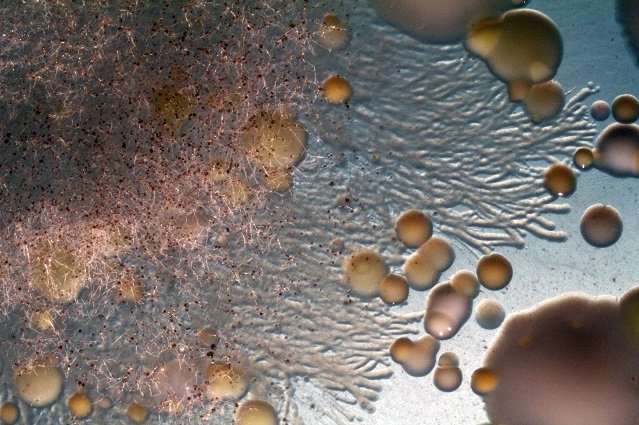 "Most prior work on fungal highways combined strains of bacteria and fungi in the lab that may have never encountered each other in nature," said Wolfe, assistant professor in the Department of Biology at Tufts and the study's senior author. "How often fungal highways occurred in naturally forming microbiomes and their ecological significance was largely unknown. Our cheese rind system had the power to put these interactions in a broader ecological context." "We started with the observation of bacteria dispersing on fungi from a defined community, the Saint-Nectaire cheese," he added. "Because we can easily culture most bacteria and fungi from cheese rinds and could recreate cheese rind communities in the lab, we could test the significance of these pairwise interactions for the development of whole communities." The Wolfe Lab at Tufts uses fermented foods, such as yogurt, beer, coffee and chocolate, and other synthetic microbial communities to study the evolution and ecology of microbiomes. The lab is also committed to educational and outreach initiatives to improve microbial literacy. This work was supported by a Tufts Collaborates grant to the Wolfe Lab and the research program of Jeffrey Guasto, assistant professor of mechanical engineering at Tufts School of Engineering. Like Wolfe, Guasto's work is highly interdisciplinary. His research is motivated by problems in human health, the environment, and soft materials, and has diverse applications.